24hours Watch, 00 Start at Top or Bottom? By Xah Lee. Date: 2017-03-17 . Last updated: 2018-04-29 . 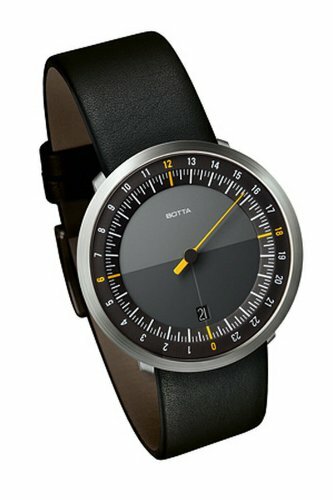 Uno 24 - One Hand Men's Watch by Botta-Design. 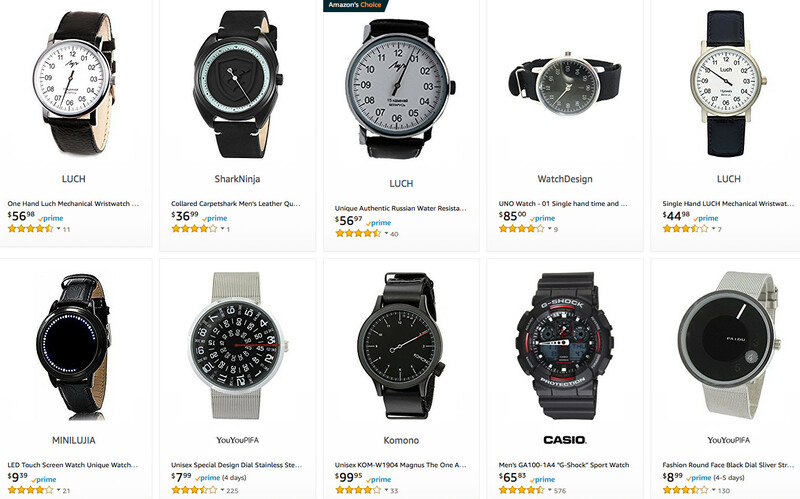 24 hours watches are superior, because, the needle points as a fraction of day. And, you can tell just by a glance, how much daylight is left, or how much a day is left. roughly, half of the circle is daylight. in designing a 24 hours clock, there's the question of whether the 0 clock should start at top or bottom. the advantage of starting at top is that, it's just normal for 0 to start at top, as in our typical clock. the advantage of starting it bottom is that, now, the daylight will roughly correspond to the upper half of the circle. This is somewhat natural because we associate light as above us. most have 00 at bottom. But for 24-hour clocks, most has 00 at top.